Yesterday, a thunderstorm hit the city of Metro Manila and after just a few hours of rain, parts of the city became flooded. The typhoon season has once again begun and the question is, are we prepared for the next few months where we will be facing the onslaught of 15 or more typhoons? Have local governments prepared for another possible Yolanda or Ruby? Are our farmers ready for their harvest? Do we have enough supply of food for when harvests are destroyed? Year after year the Philippines goes through more than 20 typhoons and the biggest typhoon in history to ever make a landfall chose us to make its presence felt. The Philippines — a developing country with a promise of growth and development and yet cannot quite fully develop because of climate change. The failure to both mitigate carbon emissions and adapt to the impacts of climate change, which we can no longer doubt is felt by the Philippines, hampers our growth as a nation. Not only that — if we lag with our efforts to adapt to climate change impacts, we will lose more lives and livelihood. 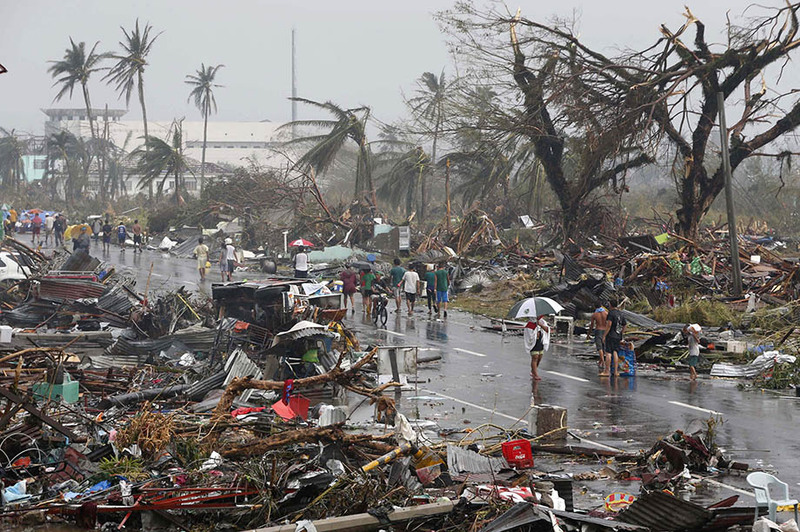 We’ve already lost more than 6,000 lives to Haiyan and with it the dreams and hopes of many Filipinos. Do we want to lose more? A photo of Tacloban after Haiyan. Photo from Slate. This is a question of justice and is also already a question of humanity. When will we start thinking of people over profit? The Philippines is not just a place of charity where other nations can give or lend money to whenever there are disasters. The Philippines is a nation that needs to have bones and muscles strong enough to hold up to climate change impacts. The Philippines is not asking for pity. The Philippines is asking for climate justice. And there is no justice while we allow more lives, livelihood, dreams, and hopes of Filipinos to be lost to climate change and its impacts.